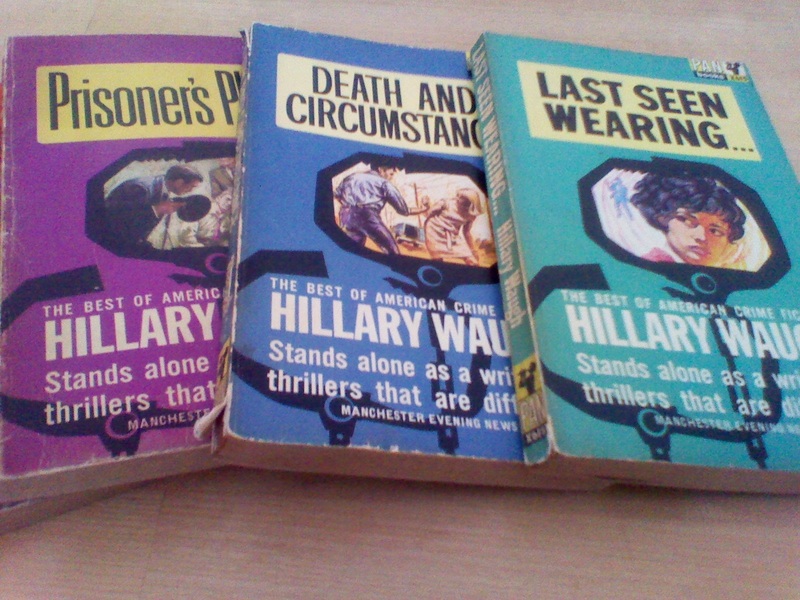 It’s been a while since I did a classic crime post but I picked up three second-hand books by American writer Hillary Waugh recently at a book stall, attracted as much by the covers as the crime stories. The first one I picked up to read Last Seen Wearing is a murder set on a university campus in Bristol, Massachusetts. By coincidence, I recently read the first novel by Margot Kinberg who blogs at Confessions of a Mystery Novelist. Margot’s blog features daily posts, killer quizzes and thoughtful ‘In the Spotlight’ reviews. Margot’s book, Publish or Perish is set in the fictional Tilton University and features a tale of academic infighting and intrigue. Hillary Waugh started writing in 1947 and achieved critical acclaim with his 1952 book Last Seen Wearing in which he used his fiancée’s experiences as a student at Smith College as the basis of his book. Marilyn Lowell Mitchell is an eighteen year old freshman at Parker College who goes missing on Friday 3rd March, 1950 after attending a history class. What follows is a classic police procedural where evidence is slowly and painstakingly collected until a picture emerges of the girl’s last movements. Much of the detection work revolves around the discovery of Marilyn’s diary and the investigation focuses on whether the girl had a secret lover. In this respect, the book is startlingly modern, as Marilyn’s loss of virginity is discussed along with the possibilities of an accidental pregnancy and subsequent abortion. Chief of the local police Frank W. Ford narrows the list down to 47 men who could be guilty which includes local doctors who could have acted as abortionists and boys Marilyn has dated. Only by meticulously working through this list does the culprit become apparent. The book is a good solid police procedural that must have influenced the later books of Ed McBain. It was interesting to read of the attitudes towards pregnancy and abortion in 1950s polite society, and interestingly the compassion of the police towards the victim who falls from respectability. Publish or Perish is set in a present day American University, featuring the death of Nick Merrill a third-year graduate student on the cusp of being awarded a fellowship. He has a complications in his love life with girlfriend at home and an affair at work with a woman on the Committee that has awarded him the fellowship. He also has colleagues jealous of his appointment and a supervisor with eyes on the teaching tool that Nick’s developed called ‘Learn It!!!’. When Nick’s body is found one evening, apparently the victim of concussion after a fall, Joel Williams a former detective and now college professor decides to dig around the circumstances of Nick’s death. Meanwhile some his students also undertake their own investigations until another murder is committed. Margot is an associate professor at an American university and cheerfully narrates some of the petty jealousies that characterise life in university campuses. She writes well about the constant struggle for recognition, tenure and publication success and how this can cause people to take drastic measures to ensure their success. Those familiar with Margot’s blog also know she is also a huge aficionado of Agatha Christie’s books. The structure of Publish or Perish reminded me of some of the classic Christies where a discrete pool of suspects, each with a motive for committing the crime, are presented to the reader and gradually eliminated until the culprit revealed. So two different and enjoyable reads for my Greek Easter week-end. 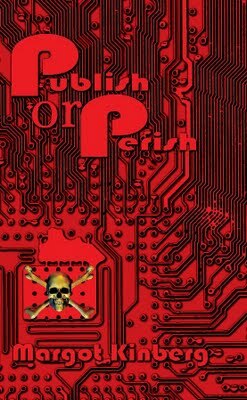 Publish or Perish has been reviewed by Petrona, Mysteries in Paradise and Reactions to Reading. Thanks – not sure how easy the books are to find but any excuse to look for 2nd hand books is always a good idea. Thanks Anwen, I have been rather neglecting your field haven’t I? I will bring Margot’s book down with me when I visit in May. What a fascinating comparison! I adored Hillary Waugh’s books when I was about 12. Last Seen Wearing is one of the books that really stuck in my mind – I read it as one of those yellow Gollancz editions, along with other authors such as Celia Fremlin. It is often said to be the first in that particular subgenre of the slow accumulation of small pieces of evidence, that later became so popular. I also really like Margot’s books, so brisk and intelligent. Like Bernadette, I am quite inclined to read Hillary Waugh again. Thanks Maxine. I hadn’t realised you were a fan of Hillary Waugh until I was looking for links for my blog. So Pertrona got a double mention! I remember those yellow Gollanz books very well in my local library. Nice article! I’m compiling information on the academic mystery genre as part of an ongoing project and linked to this. Thanks for stopping by. It’s not a genre that I know much about although I have read a few Amanda Cross books over the years. I’ve had a quick look at your blog and I can see you’re much more knowledgeable than me. Amanda Cross is one of the best, so great choice! Thanks for looking at the blog. Come by anytime, if you’re looking for suggestions. I’ve been compiling a reading list that might offer something that catches your eye and will be updating it in the future, too.